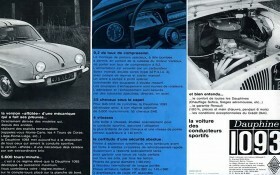 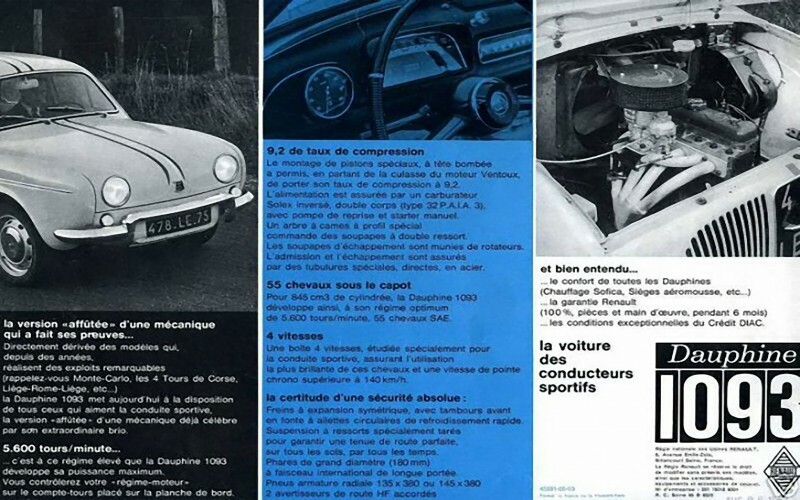 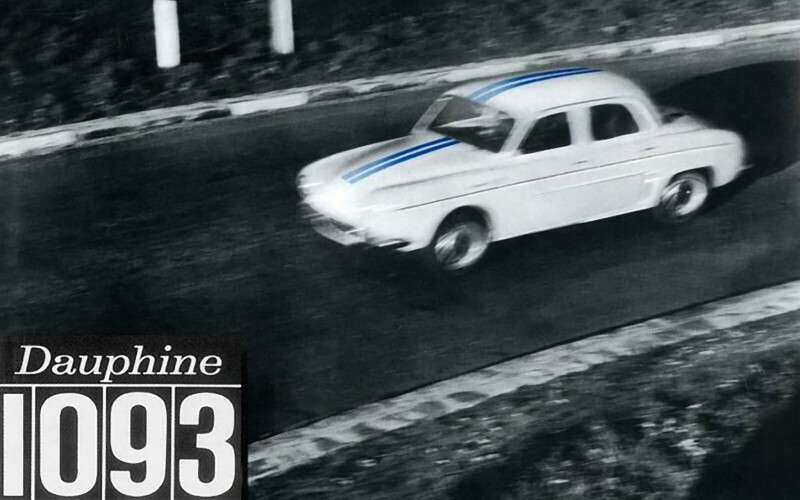 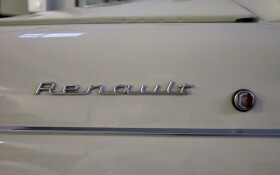 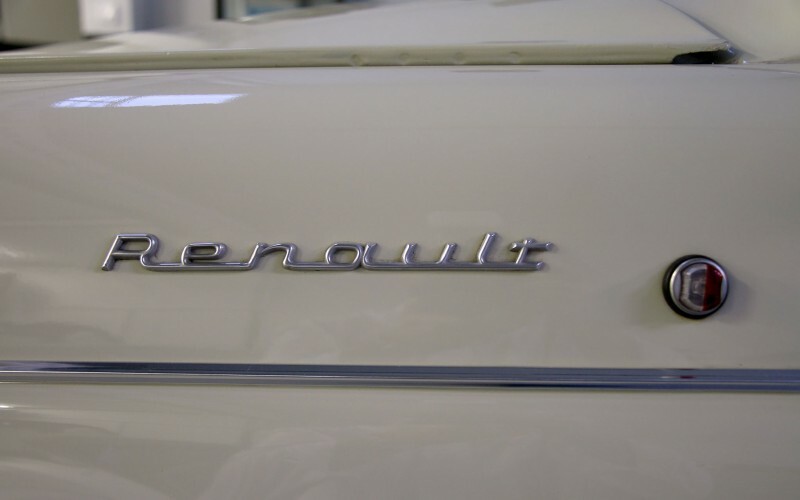 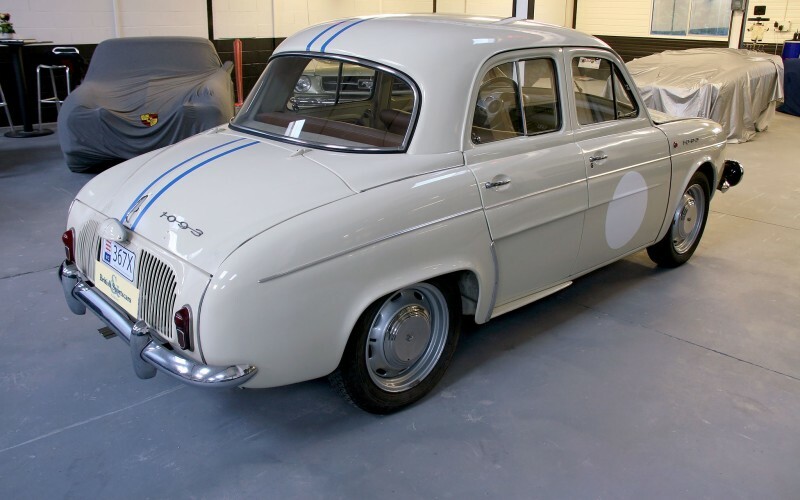 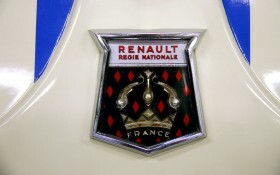 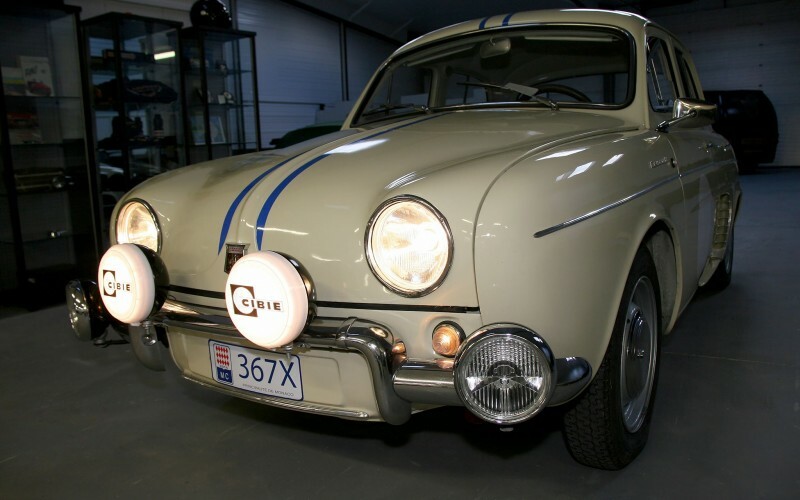 After the Renault 4CV "1063" and before the R8 Gordini, there was the Dauphine "1093", a sport derived from Renault Dauphine sedan, launched in November 1961 by the competition department of the Régie Renault. 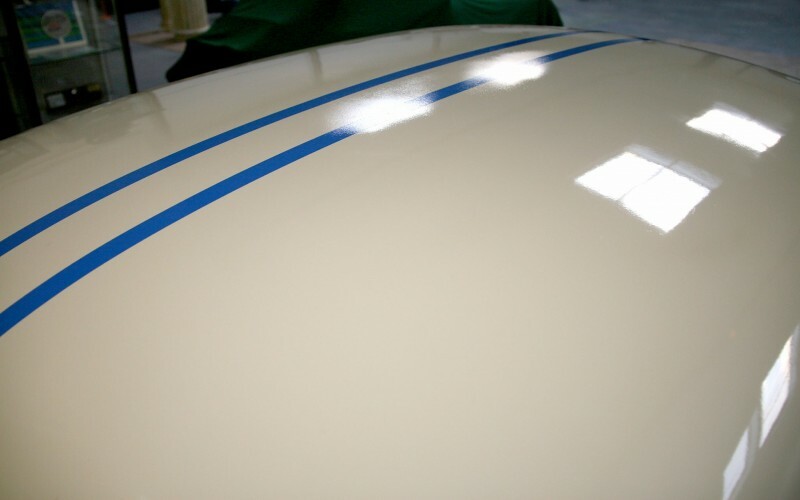 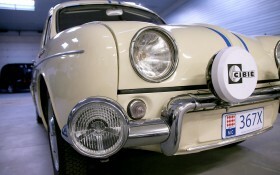 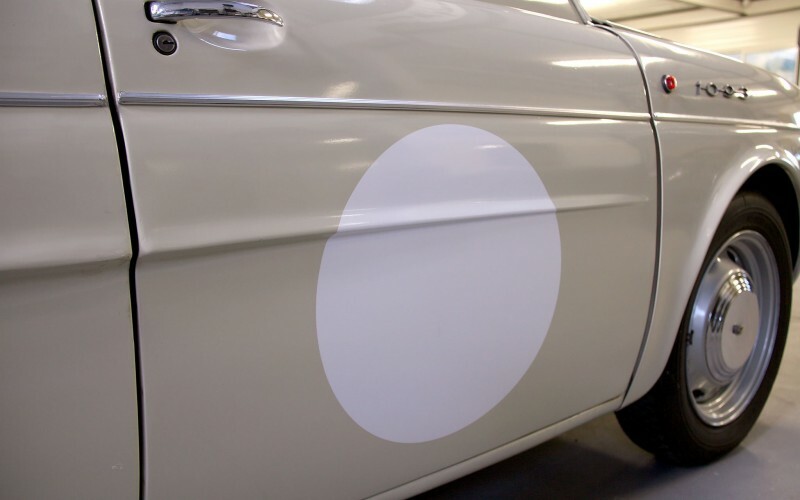 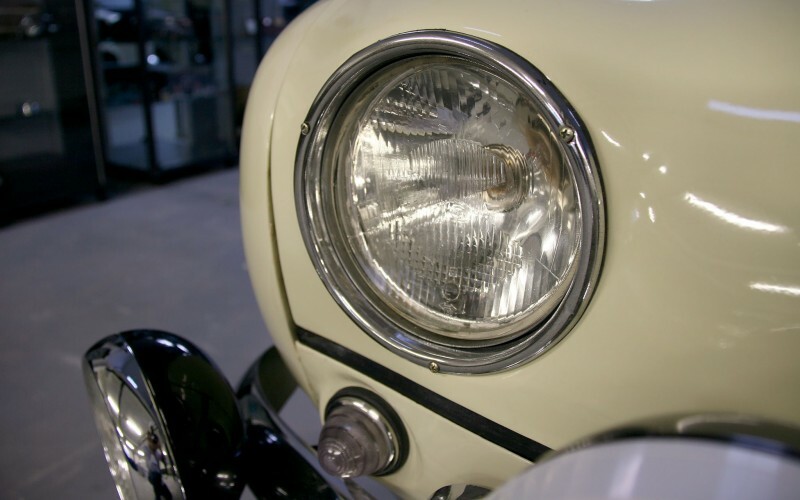 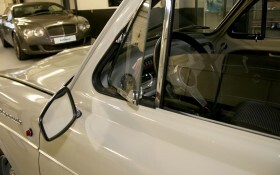 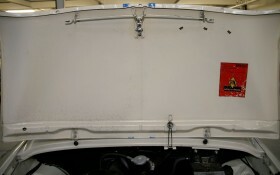 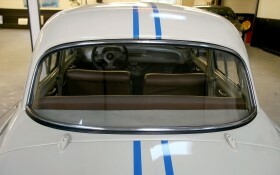 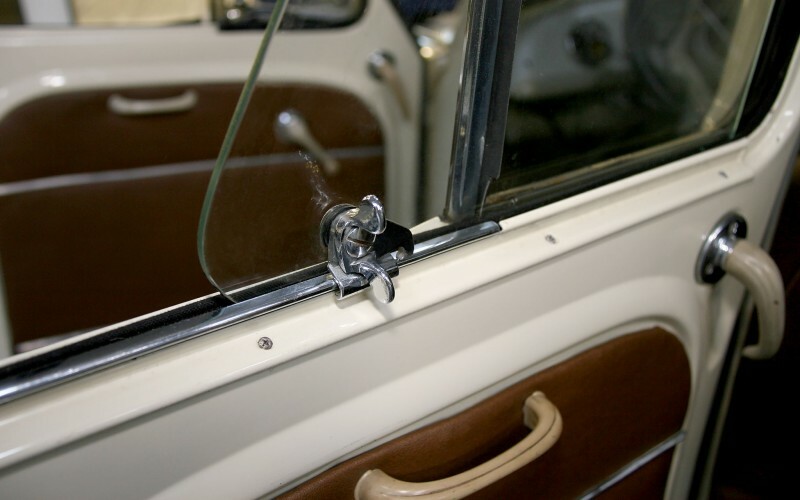 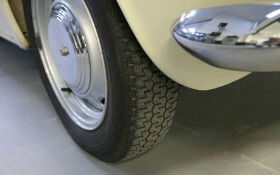 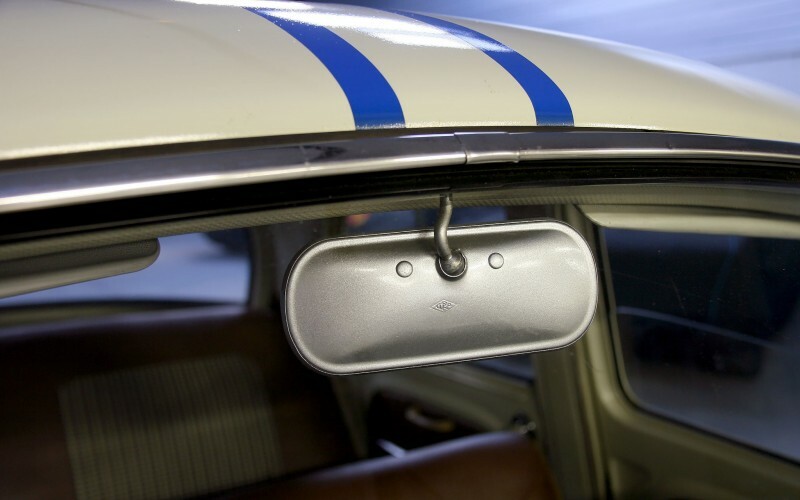 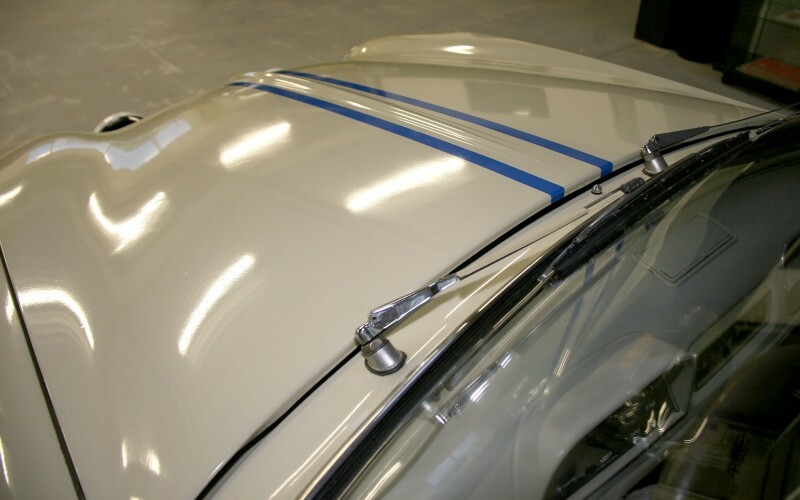 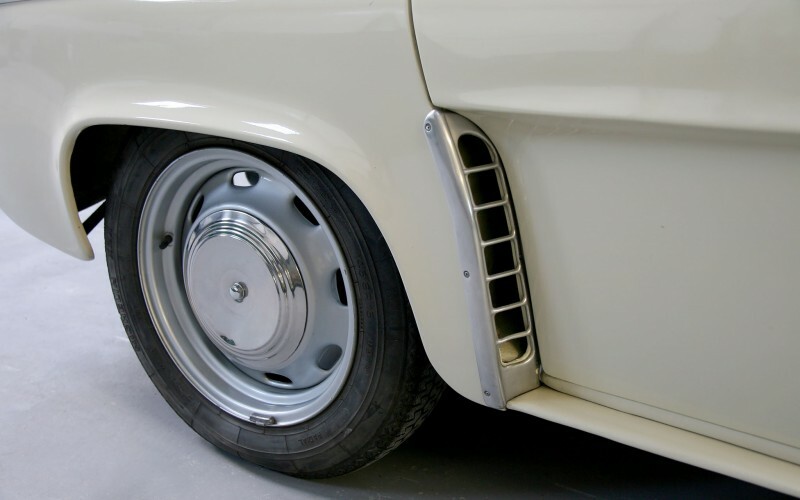 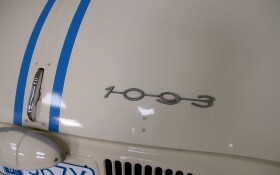 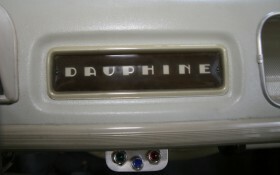 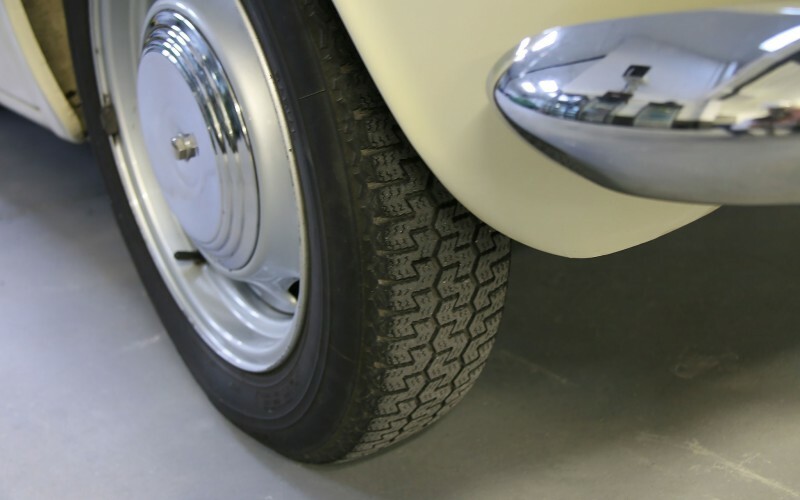 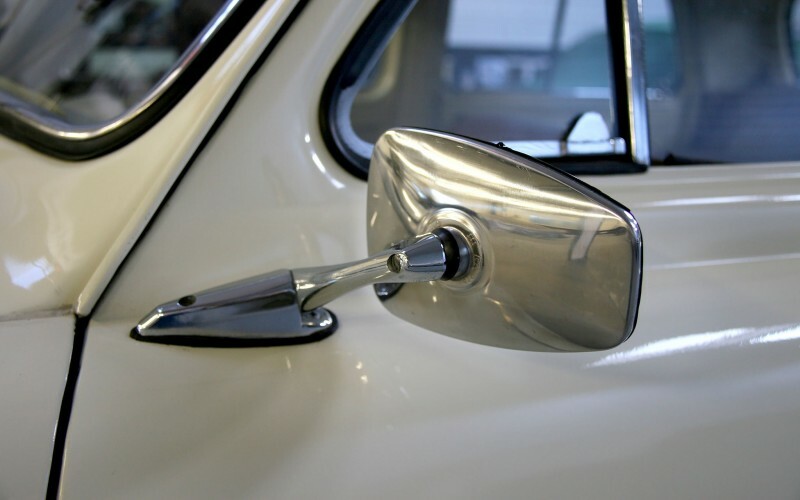 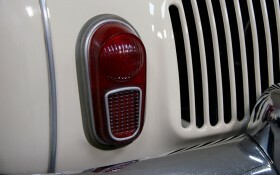 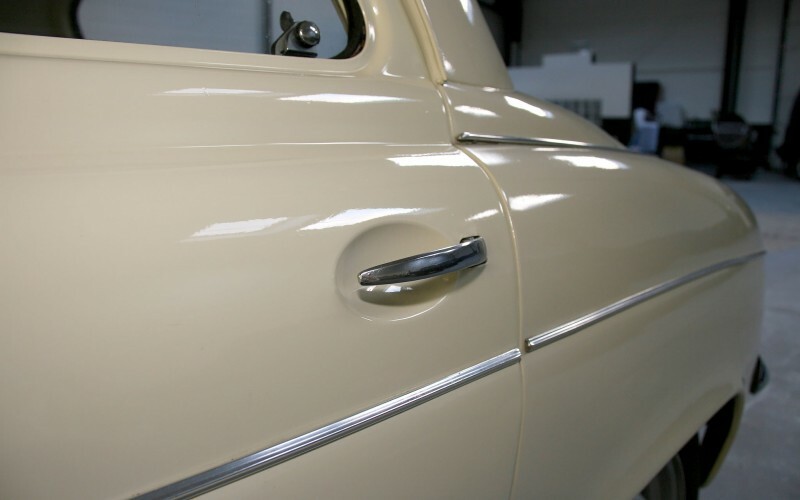 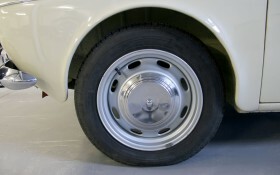 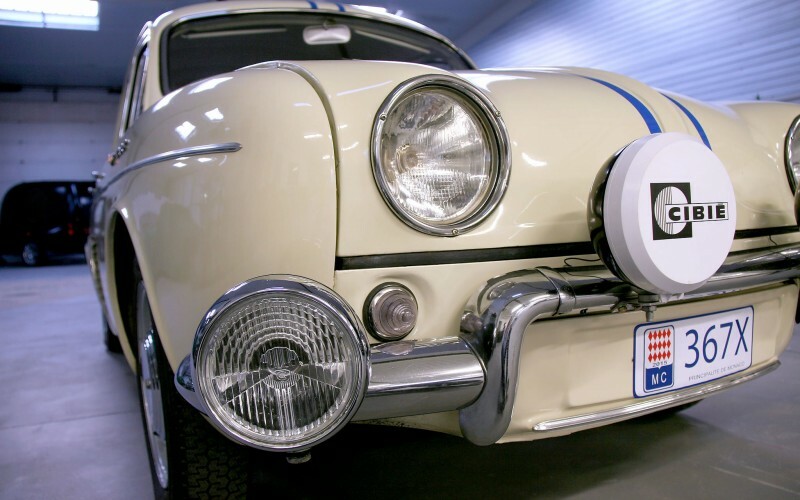 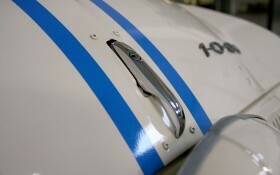 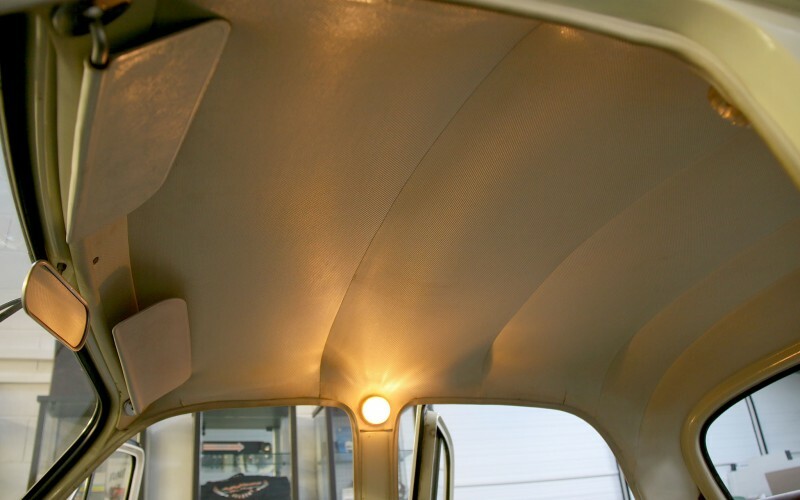 The bodywork and equipment are those of the Dauphine Export, but is only available in one color, the White Rejane, and decorated with a double blue stripe on the longitudinal axis of the car. In order to get approval "production car", 1,000 copies were to be assembled. 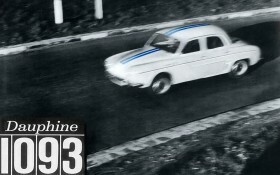 But success was soon to go, with a total of 1,650 copies end 1962. 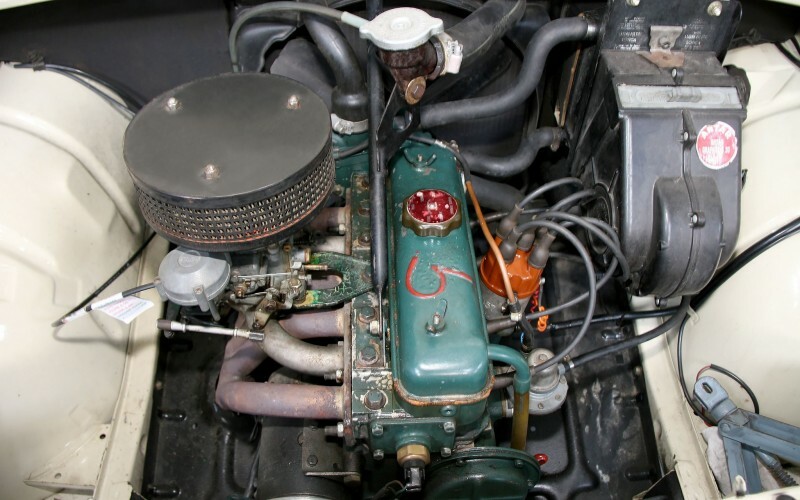 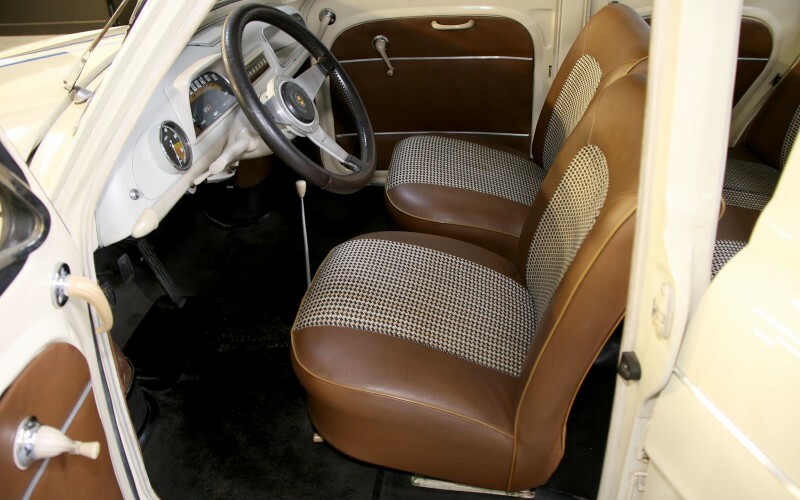 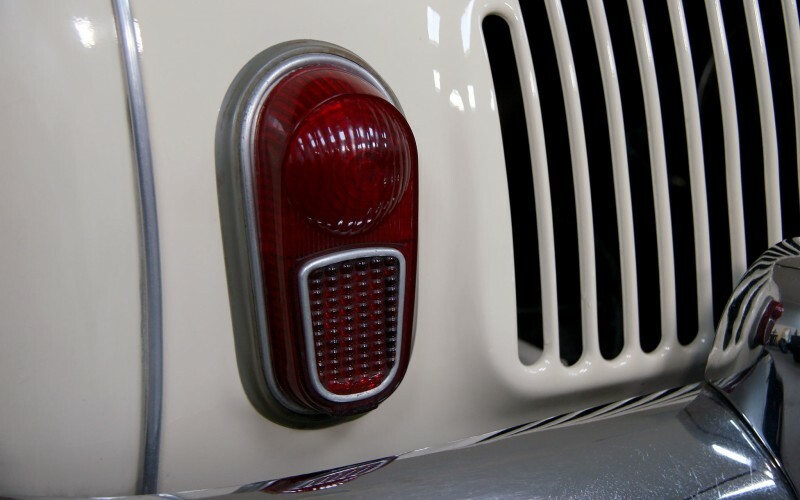 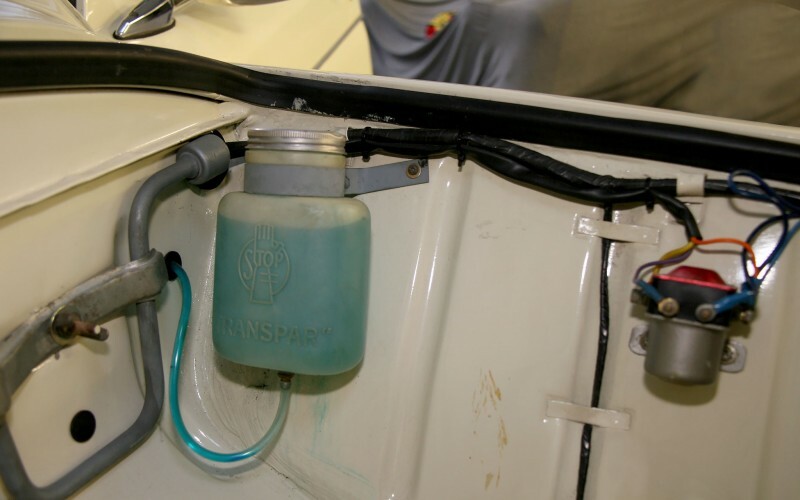 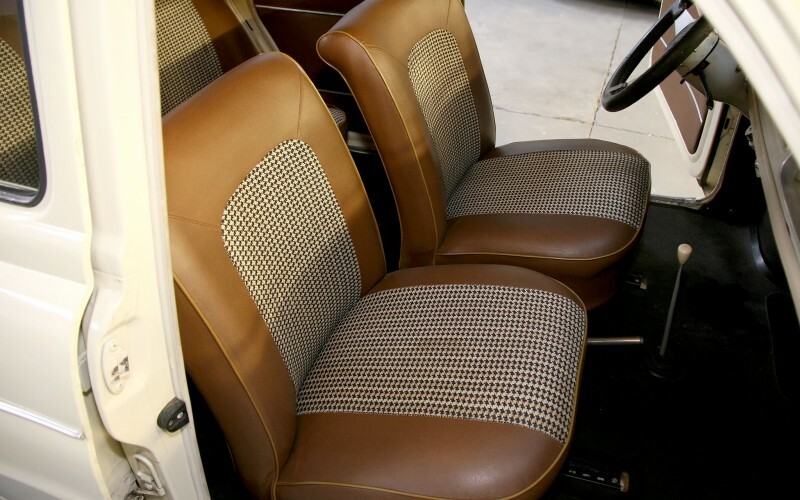 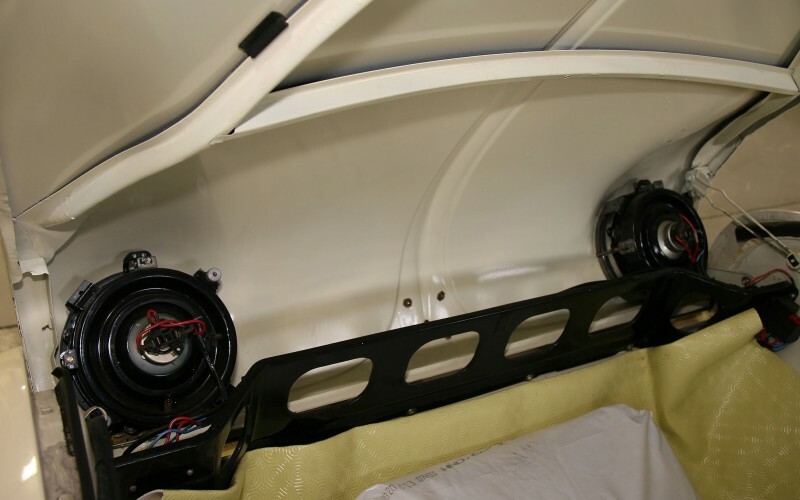 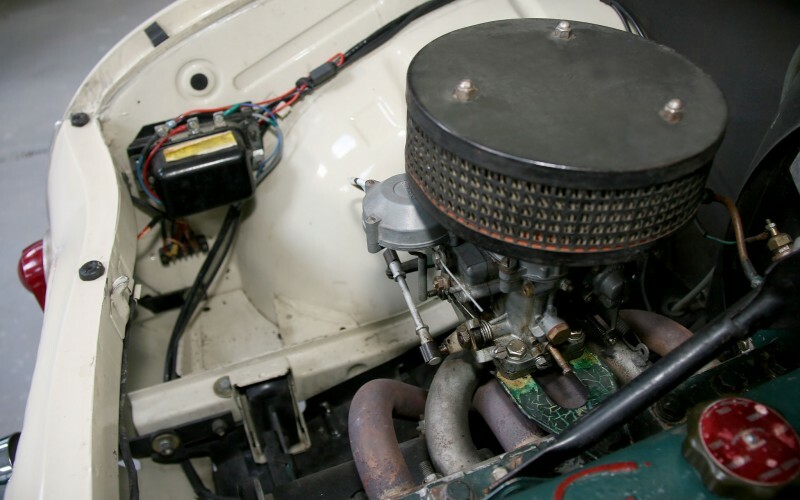 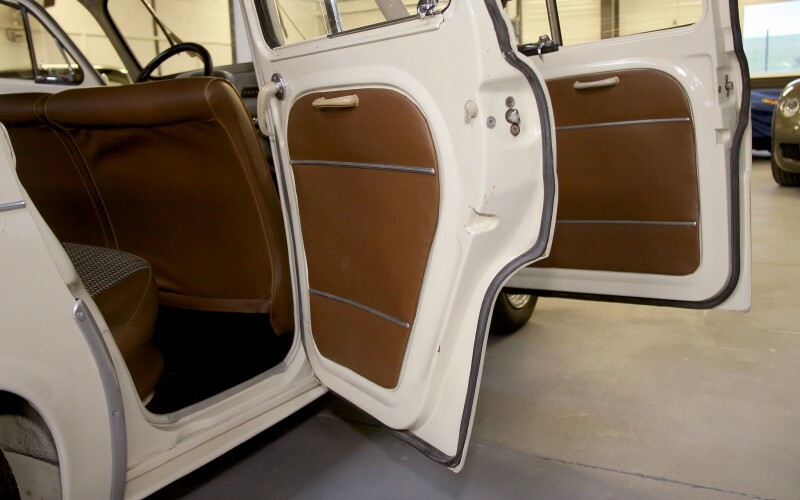 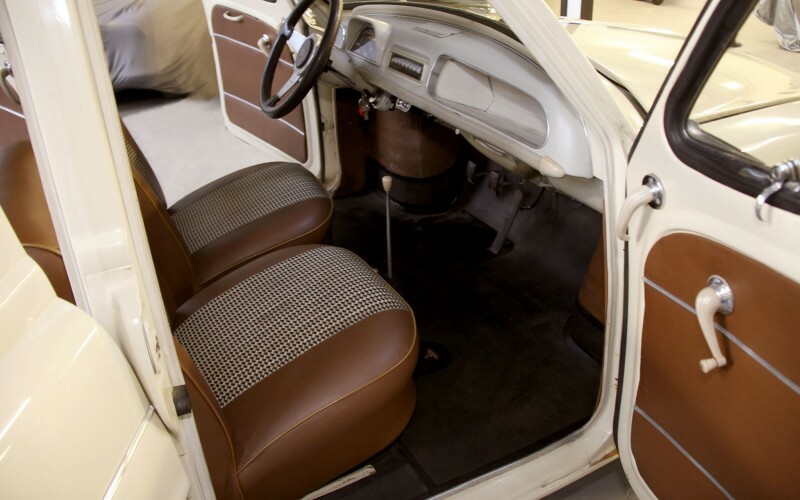 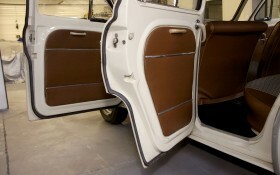 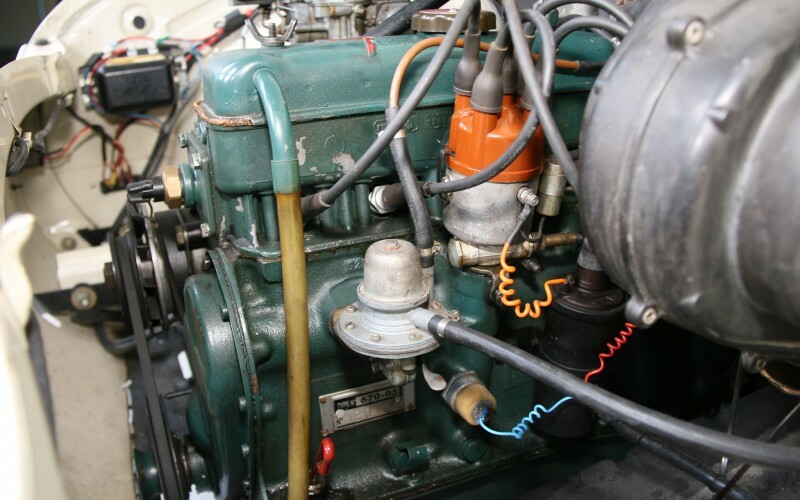 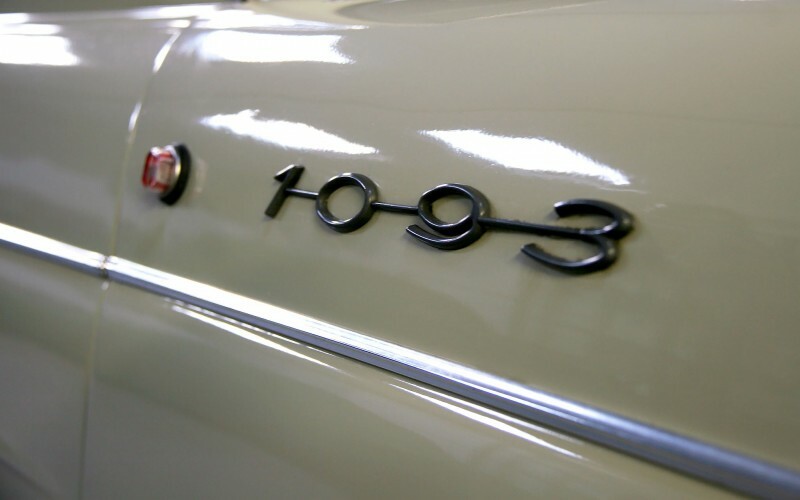 For the 1963 vintage, 490 additional copies were built to meet growing customer demand. Note that this version received a 1963 black board edge and not white, and 4 disc brakes. 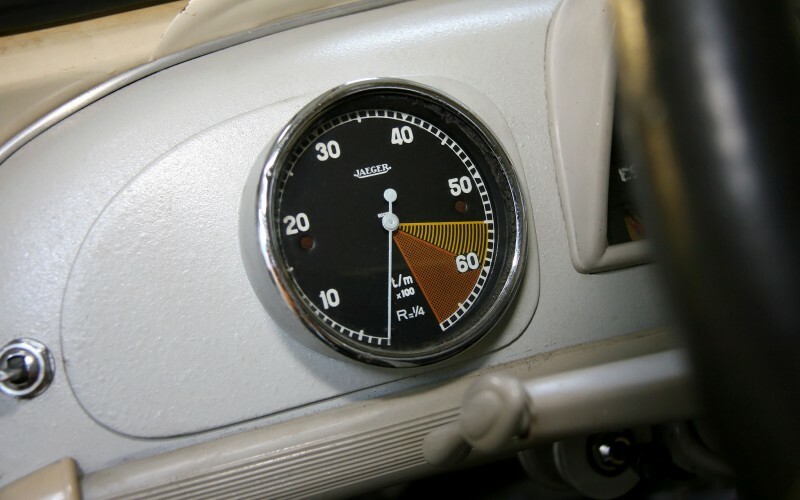 Here the history of this Dauphine 1093: it stayed for 40 years, from 1970 to 2010 near Tarbes in the Hautes-Pyrénées with the same owner, who was probably his second holder and who made a restoration between 1998 and 2002. 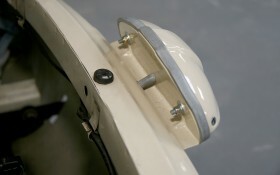 It was later sold and has entered on Spanish territory, where it will receive some changes of use (lighting backplate for instance). It will appear in the magazine "Motor Clasico" in which it was photographed alongside a Renault 8 Gordini and Renault 12 Gordini. 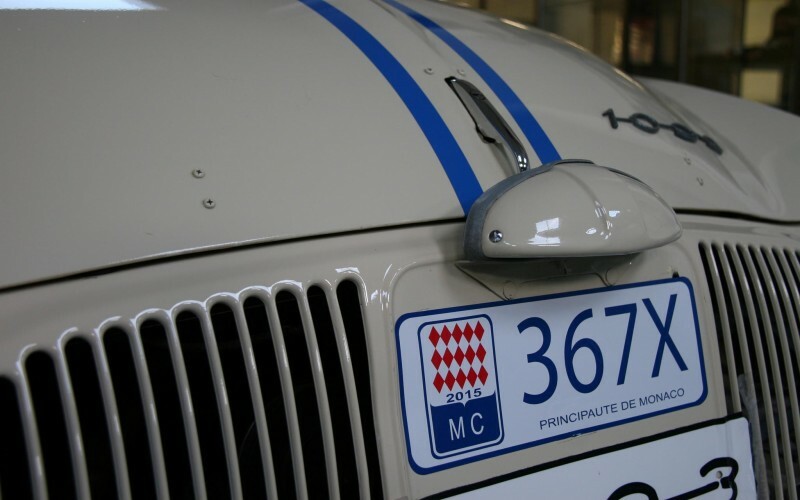 Then she returned to France in June 2013, and then at Monaco in 2014. 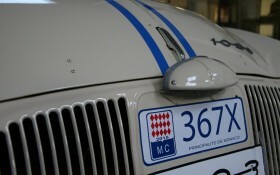 Our model wears the number 65,840 and was born on 1 January 1962 ! 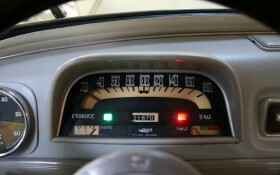 His counter totals 21,870 kilometers . The equipment and interior are in remarkable condition . 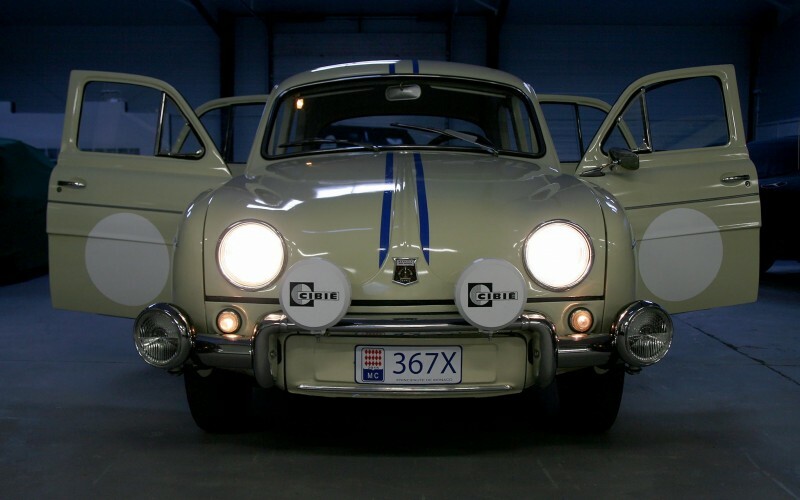 The Dauphine in 1093 has a special lighting package rally, with 4 powerful long-range Cibié headlights, whose control is ideally situated in the center of the dashboard above the gear lever. 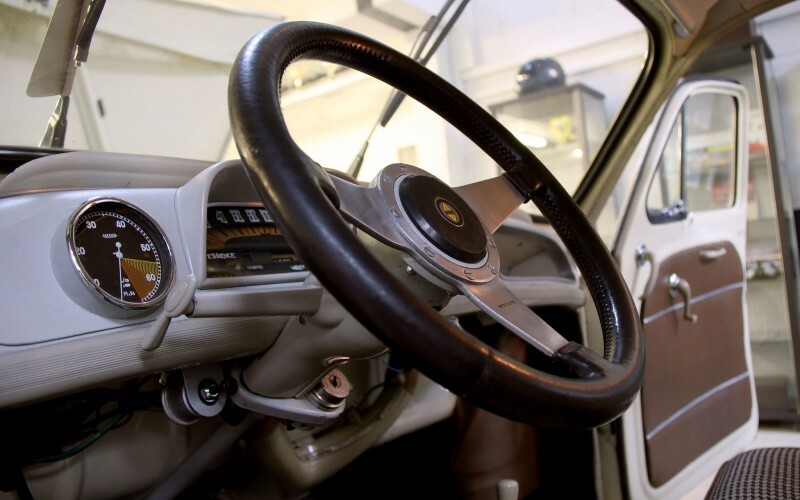 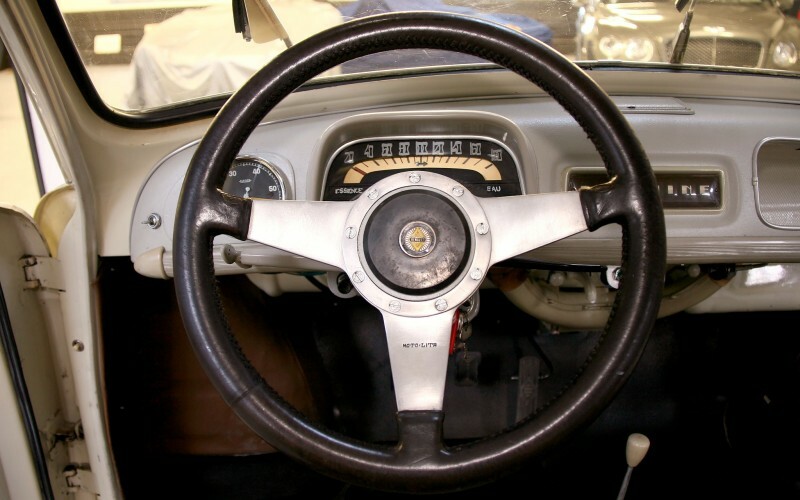 The sports steering wheel is leather-wrapped MotoLita a beautiful vintage accessory that fits like a glove. 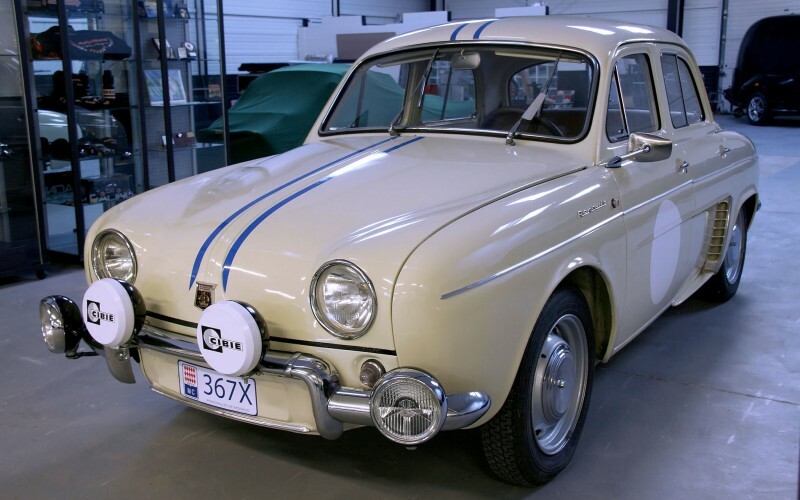 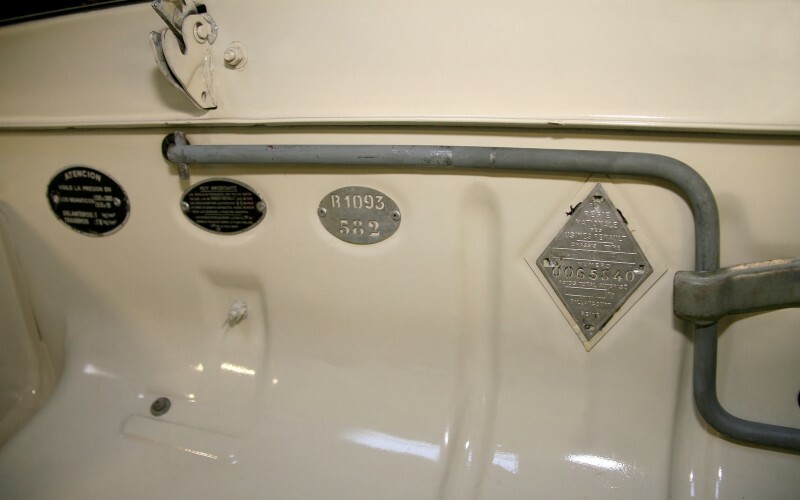 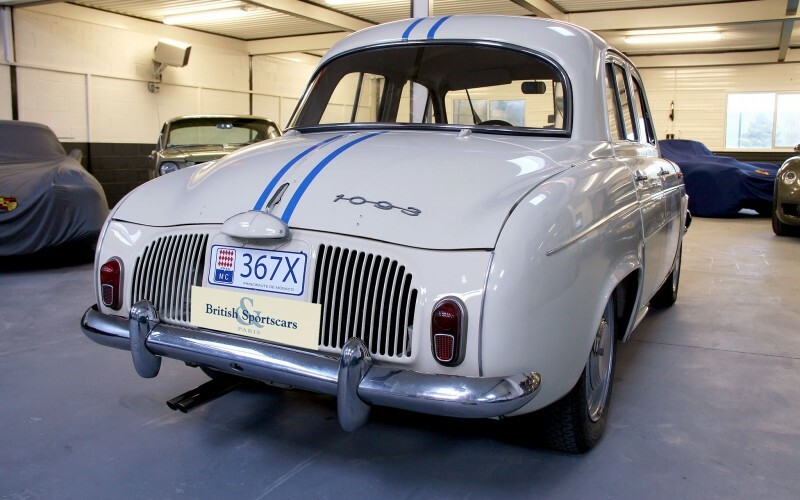 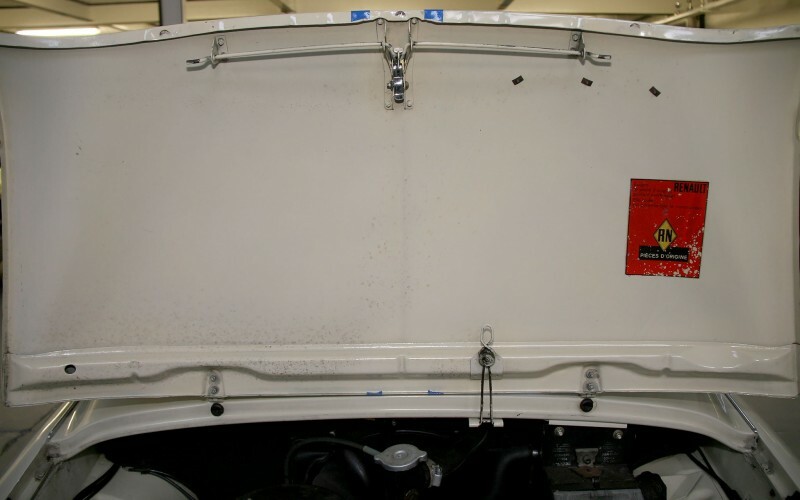 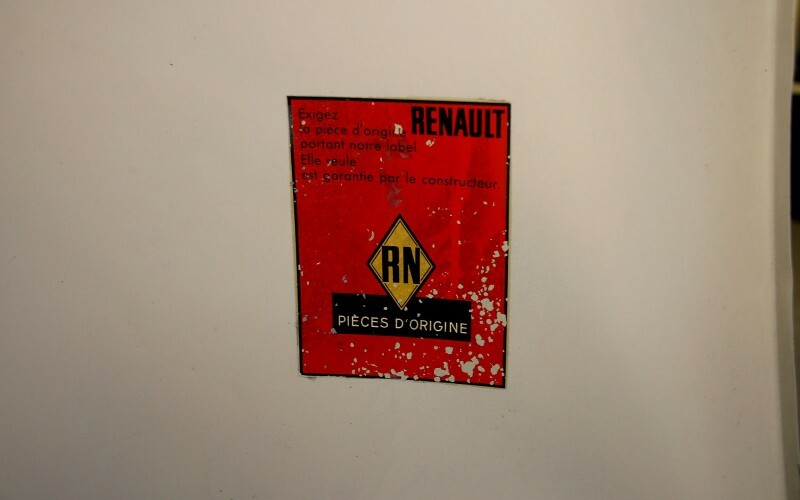 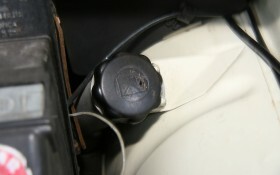 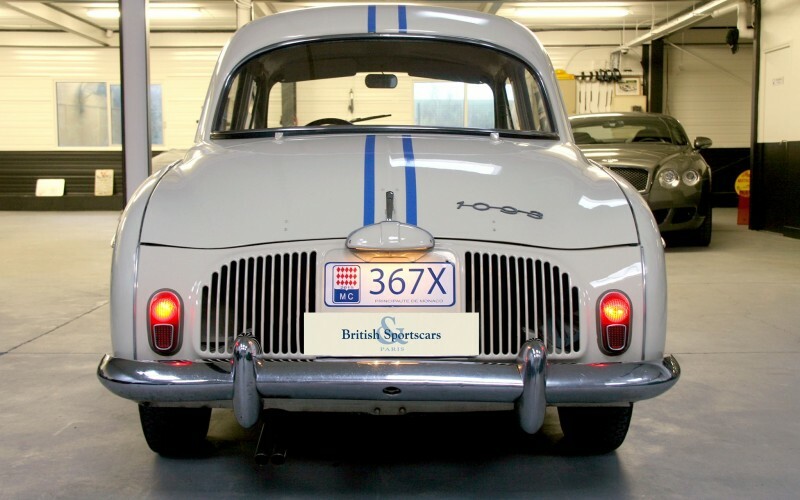 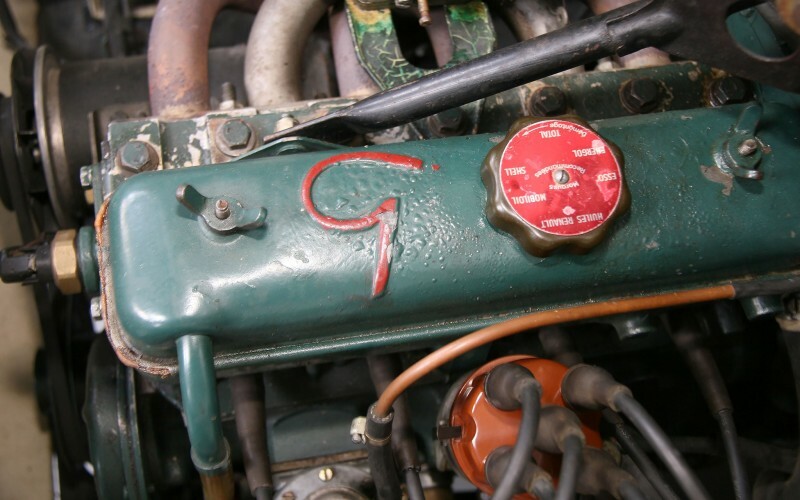 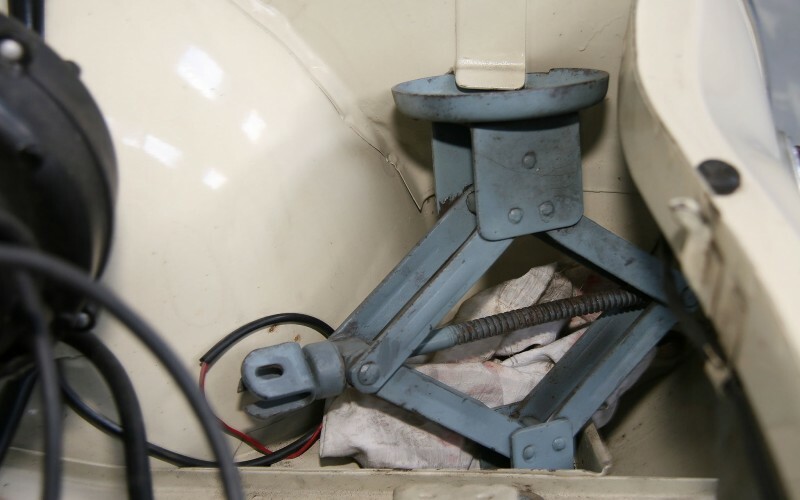 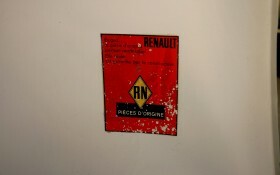 It holds its authenticity certificate of the factory and its delivery document dated 25 January 1962, on which one can notice that it was the 582 th delivered. 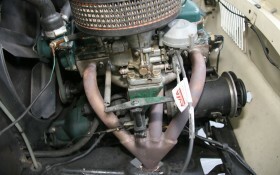 The engine number : 120701 . 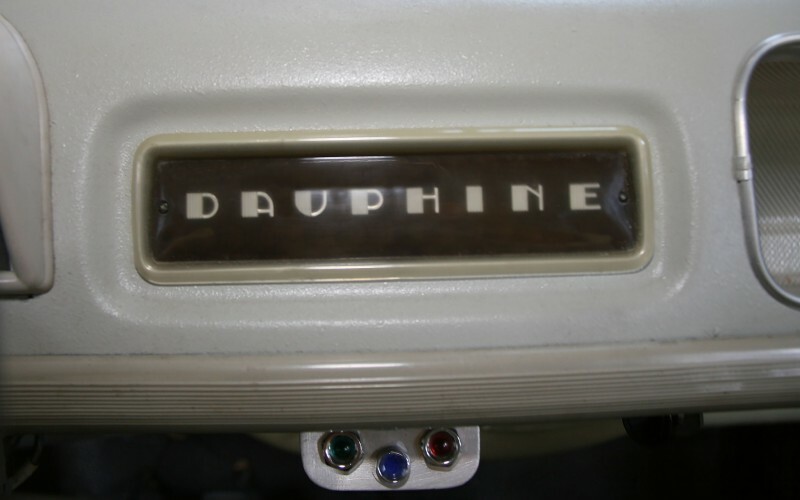 There remain only a hundred Dauphine 1093, of which a little over sixty are rolling . 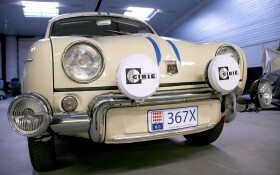 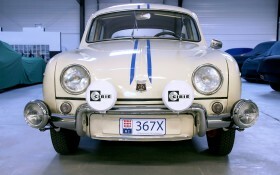 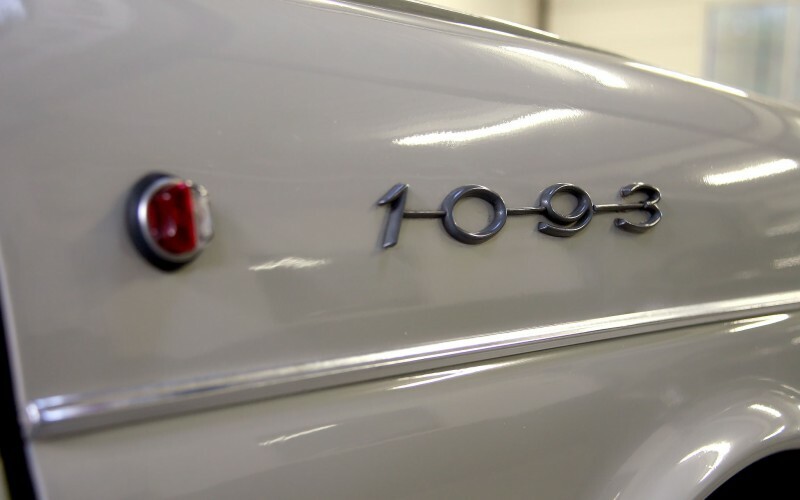 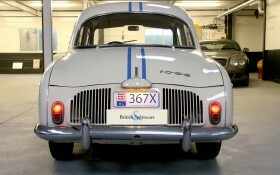 First arrival in Corsica in 1962 , this version " 1093 " is the most sought Dauphine. 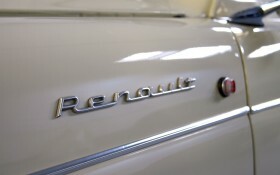 We are in the presence of a rare car , which should follow the evolution of flaming R8 Gordini in rating. Note that this 1093 Dauphine is eligible for the Tour Auto .